Why is it so difficult to change—to be transformed—even when we have many insights into our personal problems and complexes? What do we need to break through the impasses in our healing processes? 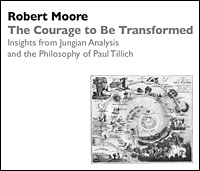 In this workshop, Dr. Moore brings together perspectives from his neo-Jungian approach to analysis and the philosophy of Paul Tillich to focus on the nature and dynamics of the courage to be transformed. Special attention is given to understanding the different types of anxiety that afflict us. Dr. Moore addresses the kinds of courage needed to overcome each kind of anxiety and the personal resources each requires in order for transformation to be accomplished.